A day of solidarity and togetherness, smiling, enjoying life, and most of all: having fun! Fun And Games For Everyone! 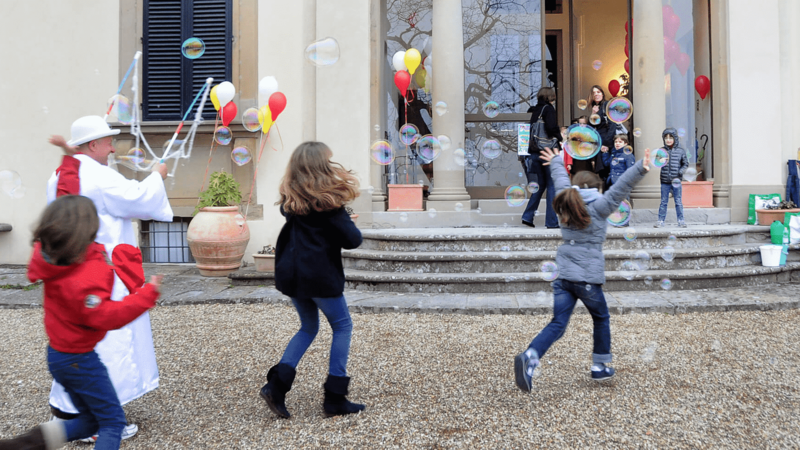 Sunday March 15th 2013, at the splendid Villa Viviani, the Foundation Martacappelli Onlus organized a spring day dedicated to children and families. Soap bubbles, treasure hunts, magic tricks and performers created an atmosphere of laughter and fun. Then, later in the day, a small snack was served to everyone present! Here is a short videoclip of this splendid spring day at Villa Viviani to capture these indelible moments of joy, happiness and togetherness!